On my recent trip to Sydney I grabbed dinner one night at a place around the corner from my Airbnb. I had picked it out for a menu that swung heavily in favor of vegetables and pasta, and because again, it was right around the corner from my place, and by that point I was suffering some major eating out fatigue. Minimum travel and maximum veggies sounded awesome. I got there in time for an early dinner, ready to try a couple of dishes, read some news on my phone and then be on my way home to finish watching episodes of my new favorite Australian show. Instead, what happened is I sat at the bar until close, enacting a real life version of the scene I always read about in articles that assure me I'm not lame for eating out alone. While I'm totally confident in my ability to dine solo, it usually doesn't turn into the spontaneous social event I'm always assured of, if I were only brave enough to try. Until this place! I enjoyed my meal, chatting with the bartender about wine, ordering said wine, and trying yet more wine for free because sometimes being friendly pays off. The couple sitting to my right offered me a bite of their pasta carbonara; I accepted. About an hour before close a man sat down and asked if he had enough time to finish a bottle of wine. He didn't, so I got offered an entire glass of a gorgeous dry, skin-contact Riesling that changed my mind a little bit about that particular grape. In all, it was a lovely evening, and a surprising change from either being ignored by servers or treated with kid gloves for being alone. But what also stood out to me were the carrots I tried there. They were roasted to perfection, then drowned in what the menu called burnt honey, but with a definite vinegar kick to it, and spattered with sesame seeds. I slowly ate my way through the carrots, screaming inwardly at how good they were, and resolved to try recreating them at home, despite my usual tepid feelings toward cooked carrots. But hey, my tastes are growing up, remember, so here we are. I can't promise you free wine, but you can have the tasty carrots. Peel and cut carrots in half across the middle, then cut thicker pieces in half lengthwise. Bring a pot of salted water to a boil and parboil the carrots until softened but not quite tender, 5 minutes. Remove from water, drain, and pat dry. 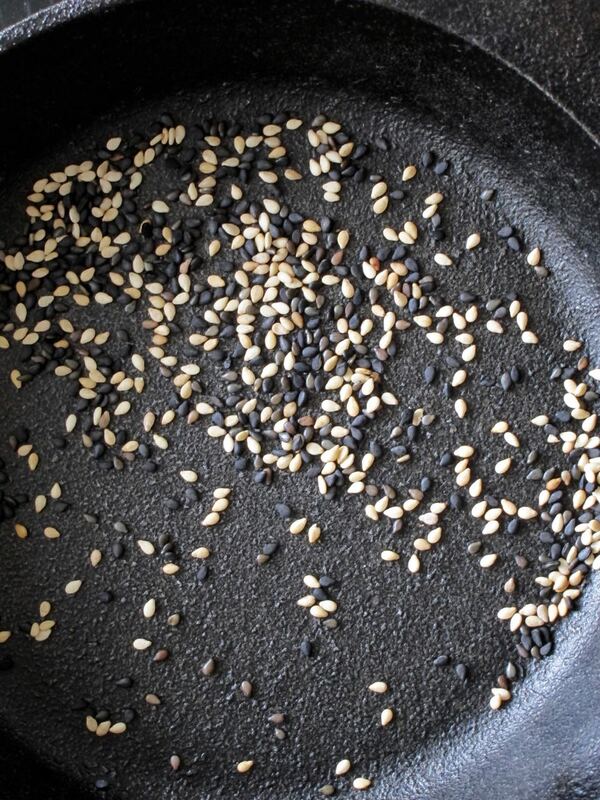 Toast sesame seeds over medium high heat until fragrant and starting to pop, remove from heat and spread on a plate to cool. Burn your honey: Heat honey and water in a skillet (a light colored one, so you can see the color change). 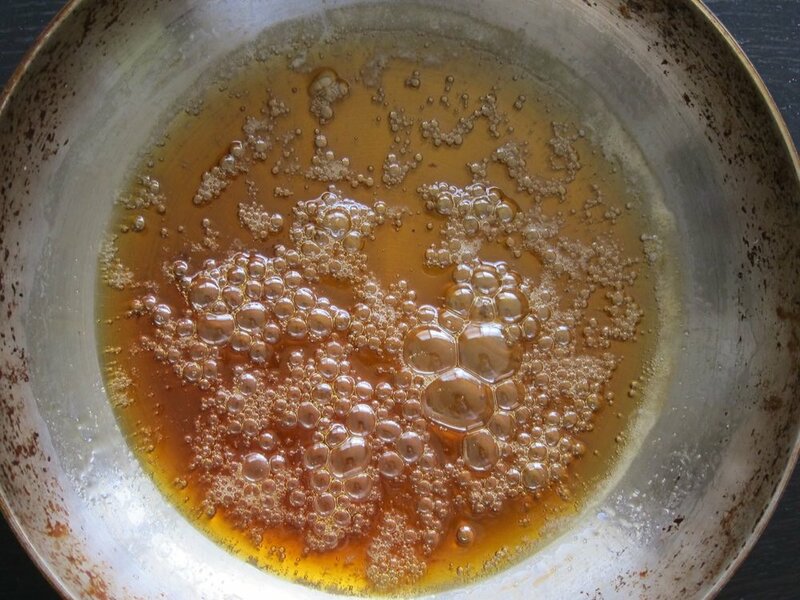 Stir constantly until honey is simmering, let simmer 1-2 minutes without stirring. Honey is done when very dark and smells a little nutty. Transfer to a bowl and stir in the vinegar. Set aside. Finish the carrots: In a large pan, melt the butter until foamy, over high heat. Add carrots and cook without moving, until caramelized on one side and tender. Transfer carrots to a platter, drizzle with the honey and garnish with sesame seeds. Serve immediately.